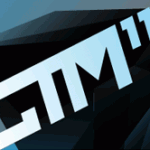 transmediale.11 RESPONSE:ABILITY and CTM.11 LIVE!? International renowned speakers including , Franco ‚BIFO‘ Berardi, Tim Etchells, Jordan Crandall and Carolyn Guertin will give a lecture at BODY:RESPONSE. Audio-visual live performances will present et al. People Like Us, Cécile Babiole & Vincent Goudard and Ei Wada at the performance programme LIVE:RESPONSE. The film- and video programme SyncExistence will screen in total 58 new works as well as rare and historical works by artists like Lynn Hershmann Leeson, Ho Tzu Nyen and Sergei Komarov. Furthermore the HacKaWay Zone will establish an experimental room for art, workshops and performances of artist like Paul Vanouse, UBERMORGEN.COM and Daito Manabe. In the Open Zone artists, scientists and activists like Heath Bunting, FakePress, and Elizabeth Stark will create interactive, open workspaces, workshops and stages which are symbolizing the open culture. This programmatical focus on open and collaborative structures is reflected in the comprehensive approach of the festival. Everything is connected with each other and fluent crossings are developing in which the participants get active in the different emphases of transmediale.11. But a transmediale would ne be perfect without the ClubTransmediale CTM.11. Extended Club Nights at Berghain and Maria am Ostbahnhof on the weekend of February 4–6 present an update on affairs in the ever-expanding club music universe. There’s a special focus on the diverse and continually shifting styles derived from the exploded genres of dubstep, grime and UK funky. Catch up with the latest developments on the UK scene around mastermind Kode9 at the big Hyperdub night at Berghain on Friday 4.2, when Darkstar, King Midas Sound, Ikonika, Cooly G and others among the label’s advance guard will test the membranes of Berlin’s premium sound system. Another special highlight is the Modeselektion night scheduled for Saturday, 5.2 in Maria am Ostbahnhof, compiled by Berlin’s own home-grown heroes of the bass line, Modeselektor, who invited along some of their talented cronies: the video collective Pfadfinderei, Jackmaster, Ben UFO, Cosmin TRG and Siriusmo. Other highlights include a Perlon night at Panorama Bar, club concerts by Swedish techno-minimalists The Field, French duo Zombie Zombie, and the young Cologne trio, MIT, who fuse Kraftwerk-inspired conceptual electronica with the cold wave aesthetics of Joy Division – and will present their latest album at the festival. This entry was posted in Event, Party and tagged 2011, Berghain, club, Club Transmediale, CTM, Culture, Events, Exhibition, festival, Kreuzberg, live, Maria am Ostbahnhof, music, Party, Transmediale, Whats up in Berlin, Winter by U inn Berlin Hostel. Bookmark the permalink.